Professor Leonard Parker was first to show that quantum field theory implies particle creation in curved spacetimes. This process creates particles and amplifies small perturbations in an expanding universe. The observed features of the cosmic microwave background (CMB) radiation and of the large-scale structure of the present universe confirm that this particle creation process in an in inflationary universe was responsible for the CMB temperature anisotropies and for the clumping of matter that gave rise to galaxies and galactic clusters. Leonard Parker received his PhD in Physics from Harvard in 1967. He has been at UWM since 1968, first as Assistant professor, then as Associate Professor from 1970 until 1975 and as full professor from 1975 on. Professor Parker was also a member of the Institute for Advanced Study (Princeton) for periods during 1973-1977 and a visiting fellow at Princeton University from 1971 to 1972. 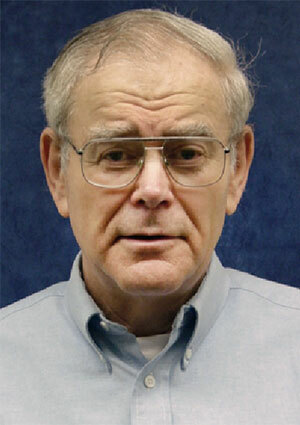 He became an Emeritus Distinguished Professor in 2008. Professor Parker has been the recipient of several prestigious awards and honors. The most recent, awarded in May 2011, is the First Award in the Gravity Essay competition from the Gravity Research Foundation (GRF). He was awarded the GRF Second Prize in 1984. Parker was elected Fellow of the American Physical Society by the Division of Particles and Fields in 1984. In 1995, he helped found the APS Topical Group in Gravitation and served on its first Executive Committee. He was named UWM Distinguished Professor in 2004. As another indicator of excellence, Parker’s research has been continuously supported by National Science Foundation Grants from 1969 on. Parker is a founding member and former director of the UWM Center For Gravitation And Cosmology. He has also been an Editorial Board Member of several journals, including the Journal of Mathematical Physics, the International Journal of Modern Physics A, Reports in Astrophysics and Cosmology and Modern Physics Letters A.